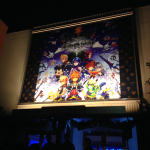 The North American launch event “Inside the Kingdom, With Heart” for Kingdom Hearts HD 2.5 ReMIX is taking place today at the Walt Disney Studio Lot in Burbank, California. KHRecharged is attending the event tonight! Our coverage will include updates, photos and videos. Thanks to our staff member Justin for being able to attend the event on our behalf. 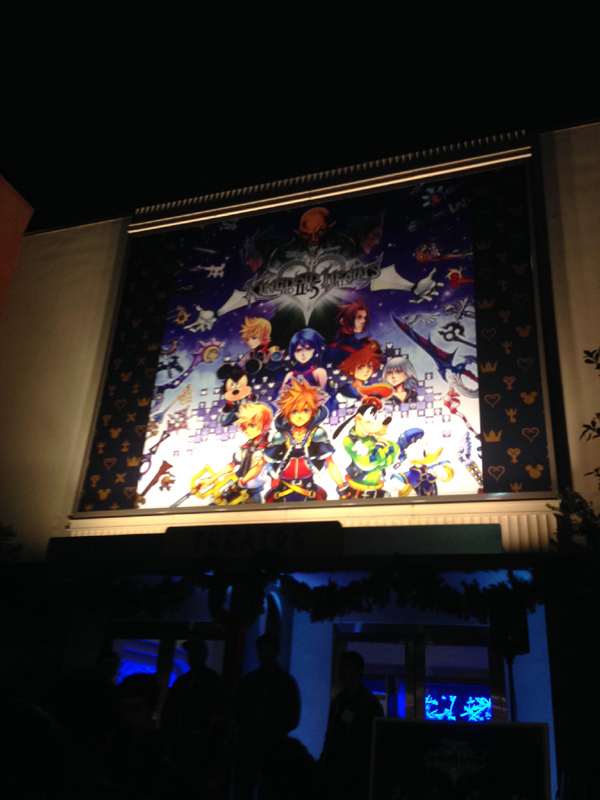 At around 6:20PM, Kingdom Hearts fans were admitted into the main theater located at the Walt Disney Studio Lot in Burbank, California. Shortly after, the show started with a magical fanfare, with lights from all over the spectrum lighting the curtain that unveiled the projection screen. To begin the party, Walt Disney Studios played three new trailers for their upcoming motion pictures “Into the Woods”, the live-action “Cinderella”, and “Avengers: Age of Ultron”. 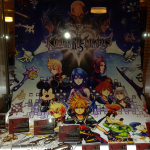 Our host, Drew Hayashida, helped kick off the show by pumping up the theater crowd before showing 2 trailers for Kingdom Hearts HD 2.5 ReMIX – “Introducing the Magic” and the “Cameos from Disney and Final Fantasy” trailer that released a few days ago. Afterwards, Drew introduced Kingdom Hearts Executive Producer Shinji Hashimoto and Disney Interactive of Japan Executive Producer Emiko Yamamoto. Both Hashimoto-san and Yamamoto-san spoke English very well and was honored to be in the presence of their fans. 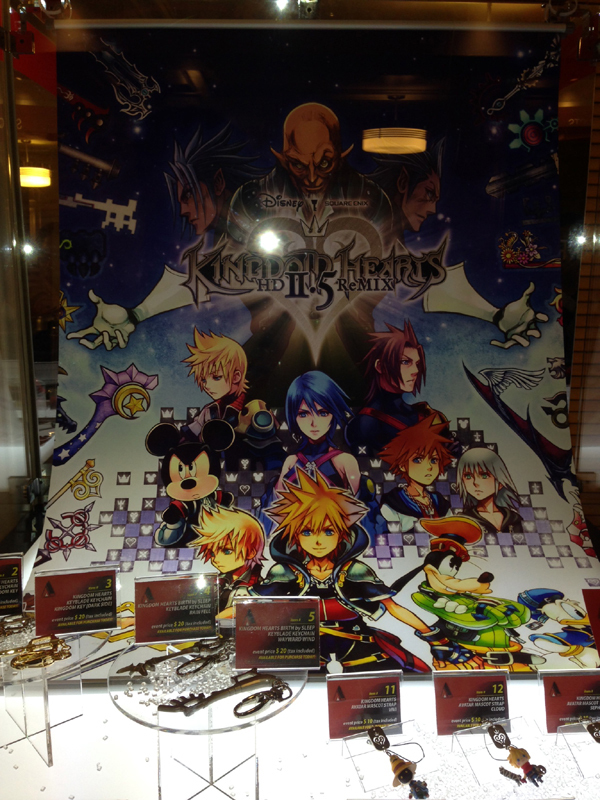 Following Hashimoto-san and Yamamoto-san’s introductions, Drew and the the showcase team presented a special presentation on the music of Kingdom Hearts. To start things off, a video starring Kingdom Hearts composer Yoko Shimomura gave fans an inside look into her thoughts on how the Kingdom Hearts series has helped her create the music for each entry and how each composition has impacted her life. Fans were later treated to several piano renditions played by Video Game Orchestra’s Livan. Livan played on one of two grand pianos in the main theater, helping fans reminisce to the tracks “Kairi”, “Sora”, “Finale – Working Together”, “Missing You” & “Namine”, and “Scherzo di Notte”. However, that was only the tip of the iceberg. Besides Hashimoto-san and Yamamoto-san being the only guests for the showcase, fans graced the one and only Yoko Shimomura in their presence. Shimomura-san played alongside Livan in a duet grand piano piece of both “The Other Promise” and “Dearly Beloved”, bringing half the auditorium to tears. Following the performance, Shimomura gave a special English introduction to fans saying how pleased she was to be in the presence of so many people who continue to praise her affinity for music. She took a seat alongside Livan in the front row of the auditorium. 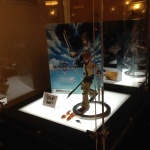 If meeting Yoko Shimomura wasn’t enough for fans, there was one more special guest star to introduce. 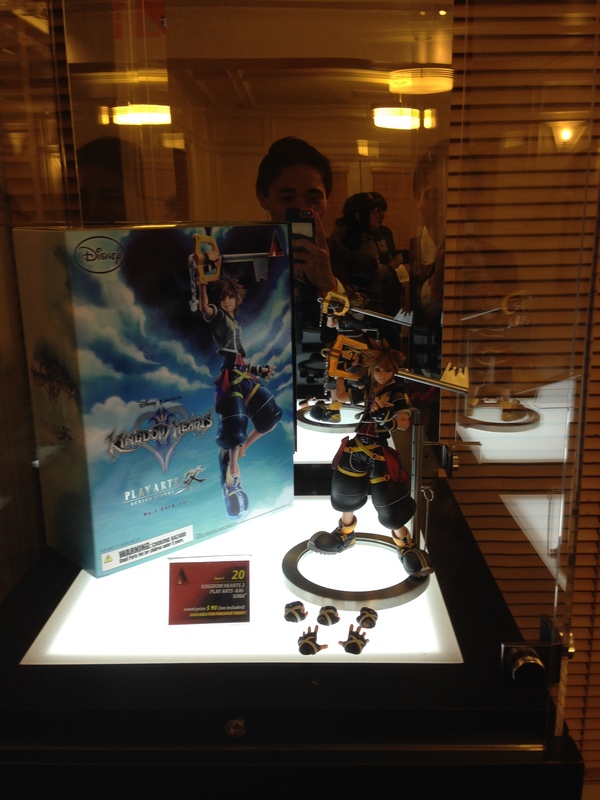 It was none other than Mr. Tetsuya Nomura. 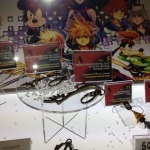 Nomura-san humbly bowed to every soul in the auditorium on center stage. Because Nomura-san does not speak English well (or humbly decides not to), we were treated to translators who helped dictate Nomura-san’s responses to questions asked by the Kingdom Hearts fan base (the same questions where fans were asked to post their questions for the Kingdom Hearts HD 2.5 ReMIX Development Team on the Square-Enix blog). 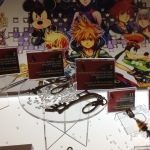 The questions gave fans insights into Nomura’s rise and lifestyle to become a director, character and game designer, and “housebody” (happily taking care of two Scottish Fold cats). It turns out that Nomura-san’s top 3 scenes in Kingdom Hearts HD 2.5 ReMIX were the “Birth of Terra-Xehanort” (BBS:FM), “Sora Finds Kairi’s Drawing in the Secret Place” (KH2:FM Credits), and “Showdown in Castle Oblivion – Roxas vs. Sora” (Re:coded). Nomura-san showed the world he is just like any other person, showing that hard work is what truly gets you in life and what maintains the “unbreakable connections” with each other. 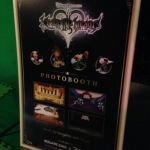 After the Q & A panel, Nomura-san, Hashimoto-san, and Yamamoto-san sat down and fans were treated to another video with footage of fans among the audience (and those from the earlier 2:30PM to 5:30PM sessions), sharing their favorite Kingdom Hearts characters and moments and what Kingdom Hearts means to each and every one of them. 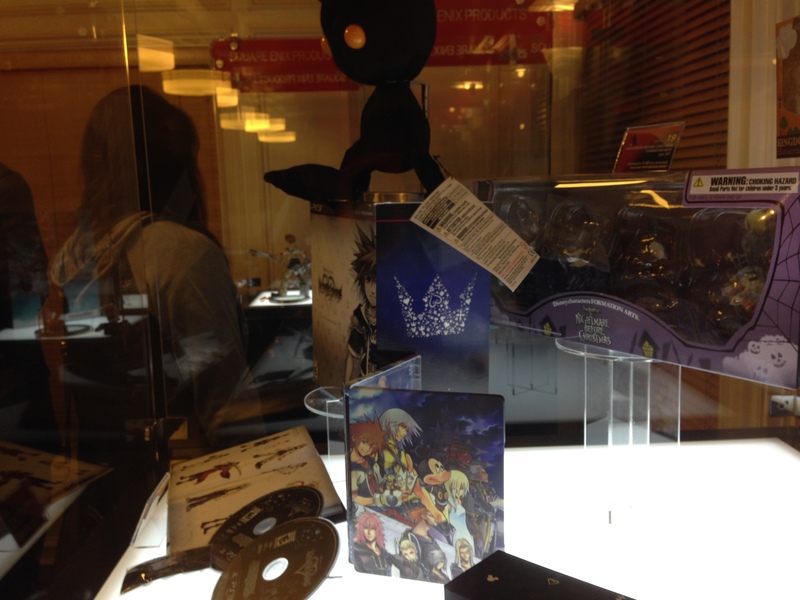 Drew and the Kingdom Hearts HD 2.5 ReMIX Showcase Team held a raffle event to give fans a chance to win special edition Kingdom Hearts HD 2.5 Soundtrack bundles, Avengers: Age of Ultron posters, and Play Arts Kai figures of Sora, Roxas, and Limit Form Sora. 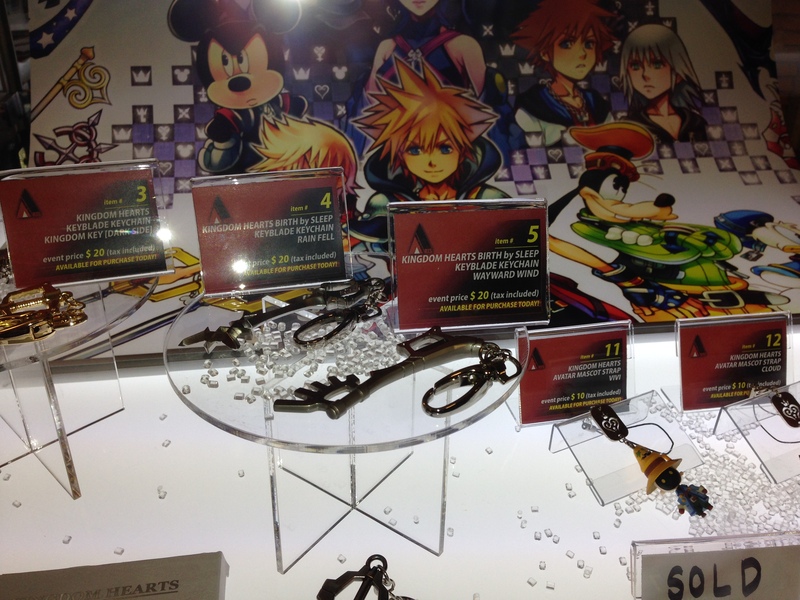 The words “Kingdom Hearts III” fade in. 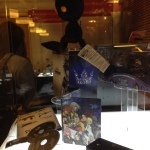 Concept art drawings of three brand new Emblem Heartless were shown (which were transitioned into fully rendered 3D models). The first type of Heartless resembled a ball of fire with a purple core, a purple color palette archangel-looking guard with wings, and a more feral type of Emblem Heartless with long arms and claws. The focus soon switched to a 3D model of Sora in his Valor Form and Wisdom Form outfits, showcasing his new transforming Keyblade abilities. 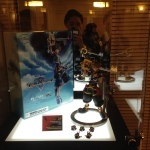 Sora’s Keyblade was shown to alter its shape into two separate laser pistols, a canon, and a bow (heavy resemblance to Nintendo’s Kid Icarus protagonist Pit). 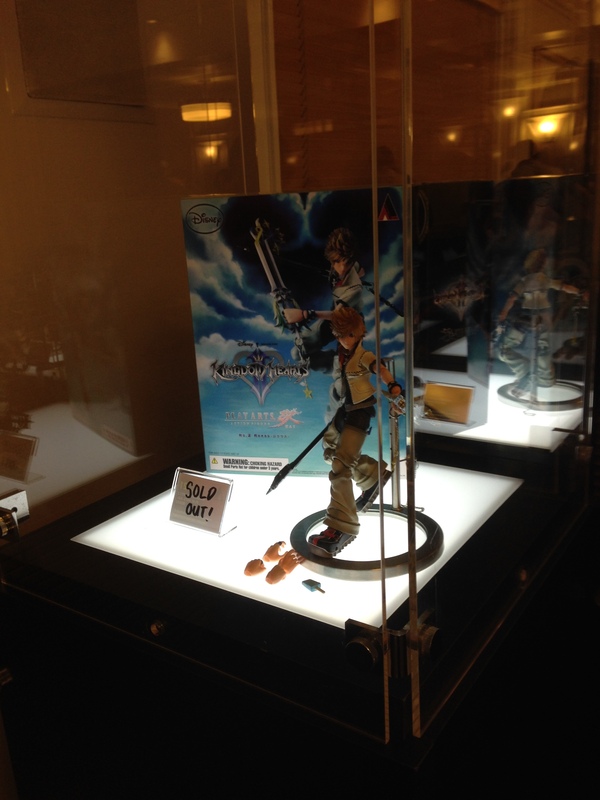 We see Sora from a behind-the-back camera view walking through study in this same building. The camera pans across a chessboard with pieces with a Mickey and crown symbol on it. 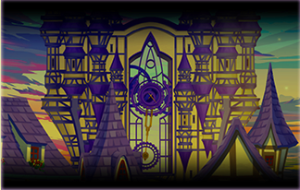 The view zooms forward to the back of Sora’s head and the video fades to white (and then to black). 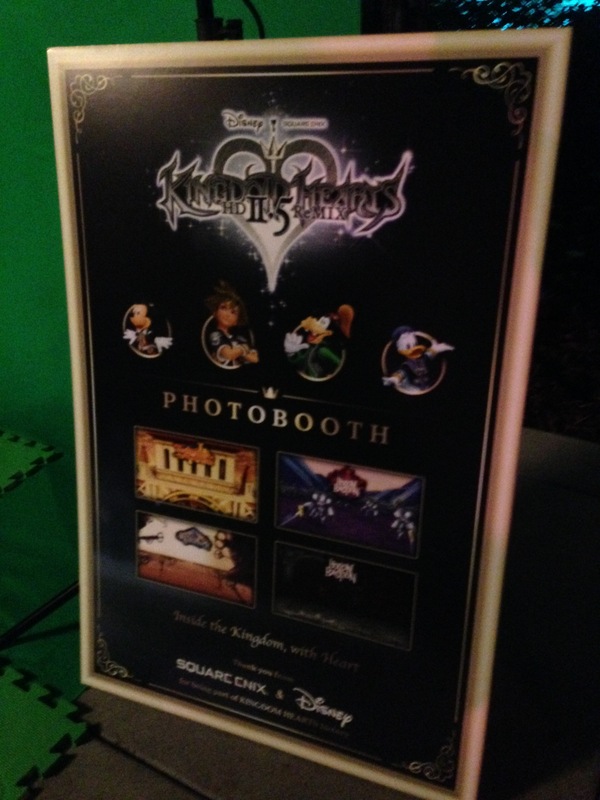 This concludes KHRecharged’s coverage of the Kingdom Hearts HD 2.5 ReMIX Launch Showcase Celebration! 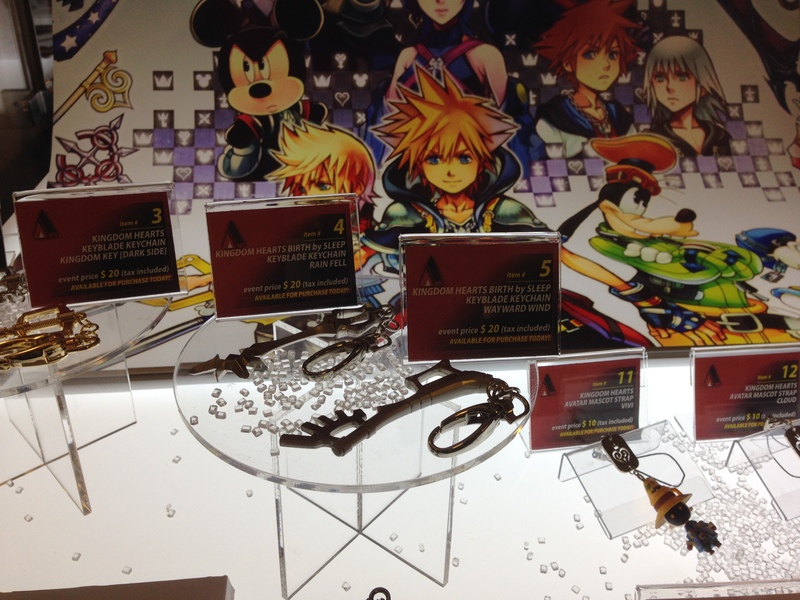 Stick with us to help bring you closer to the future of the Kingdom Hearts series!